HDD Recovery is a one of a kind software program that supports - deleted, formatted and corrupted data retrieve from hard disk. The Hard Drive Data Recovery software is proficient at restoring data from an internal as well as external hard disk. Moreover, the recovery is possible despite MBR or MFT corruption on disk. The Hard Disk Recovery Software is programmed to support the recovery of entire data; however, you get to choose what to save back. You can either restore selective items individual or in multiples after repair. Otherwise, restore data from selective folders of a partition. Master Boot Record and Master File Table are two most crucial elements responsible for detecting and reading data on a disk of a machine. 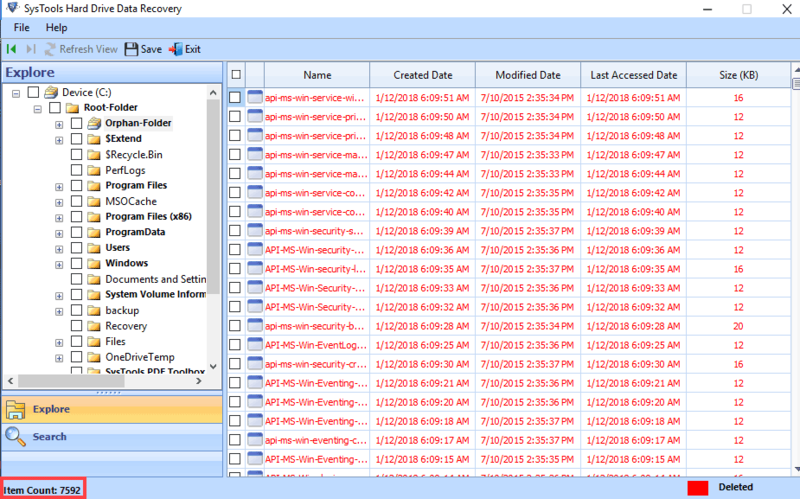 Nevertheless, Windows data recovery software supports data recovery from hard drive despite corrupt MBR/MFT. Windows file restore application is programmed to support the recovery of unlimited data. 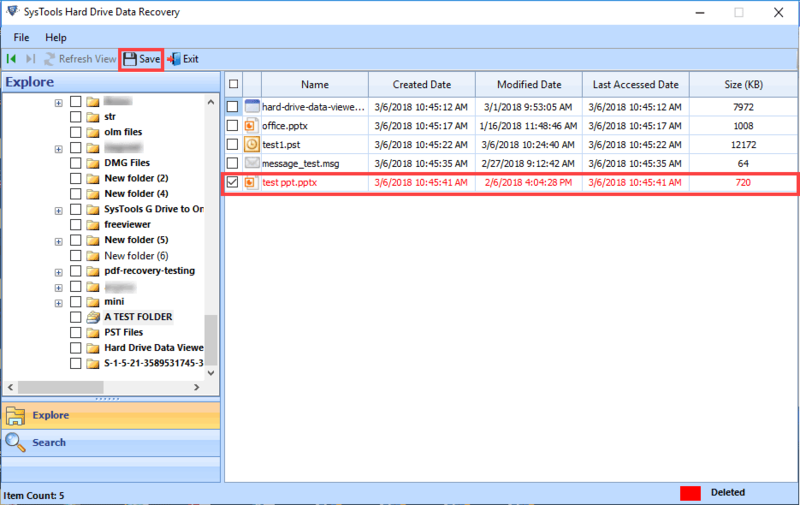 Whether you have 500 GB storage or a 5 TB of storage, if the storage is corrupted then HDD recovery will successfully recover it with an equal RPO (Recovery Point Objective) and RTO (Recovery Time Objective). 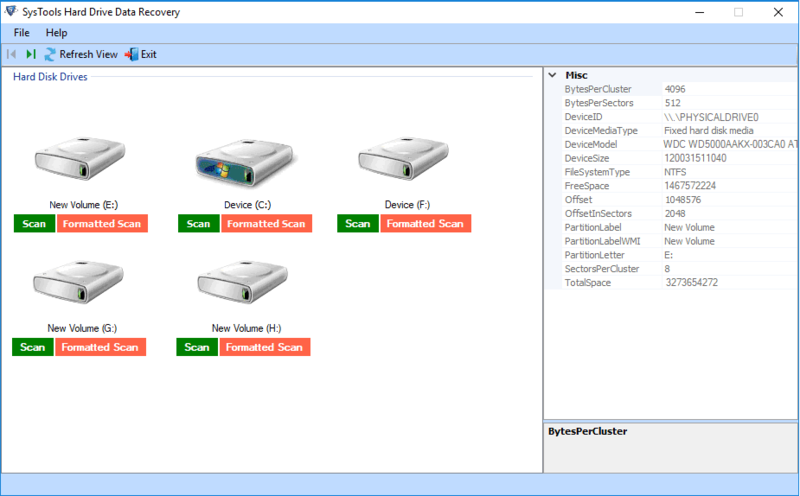 The Searching facility is featured in the Hard Disk Data Recovery Tool for rendering users with a customized restoration. For instance, you can search for a particular file by using its extension to search or files having a similar name range and restore particularly that set of data. There is a variety of data types available on a machine and the ones used by different kinds of user groups. Therefore, the Hard Disk File Recovery Software doesn’t restrict to a certain set of data and offers the provision to repair all data types whether media, document, or DB file. How to Recover Hard Drive using the Product? 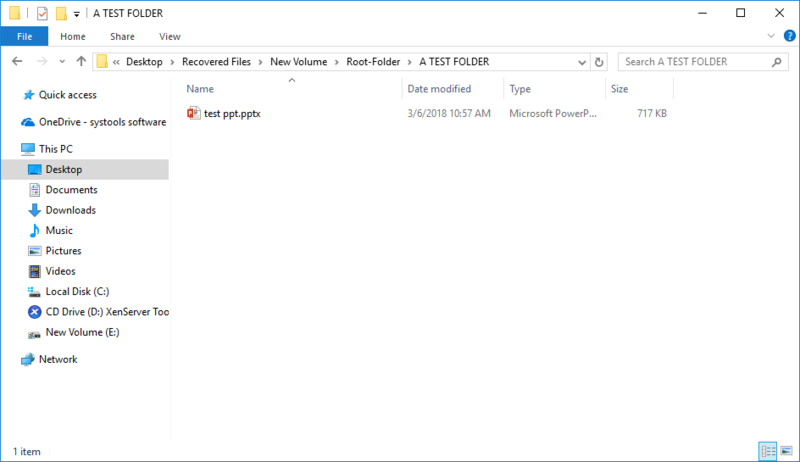 Step 1: Open SysTools Hard Drive Data Recovery Software from the assigned Location or Go to: Start window button » Program » SysTools Hard Drive Data Recovery or Type SysTools Hard Drive Data Recovery in window search bar. Now, Click on the Scan Disk button to itemize the available partitions in the file system. Step 2: Provides two types of scanning options Scan and Formatted Scan. Step 3: Viewing scanning progess. Step 5: Select the files or folder that are to be recovered from hard drive and hit on Save to start. 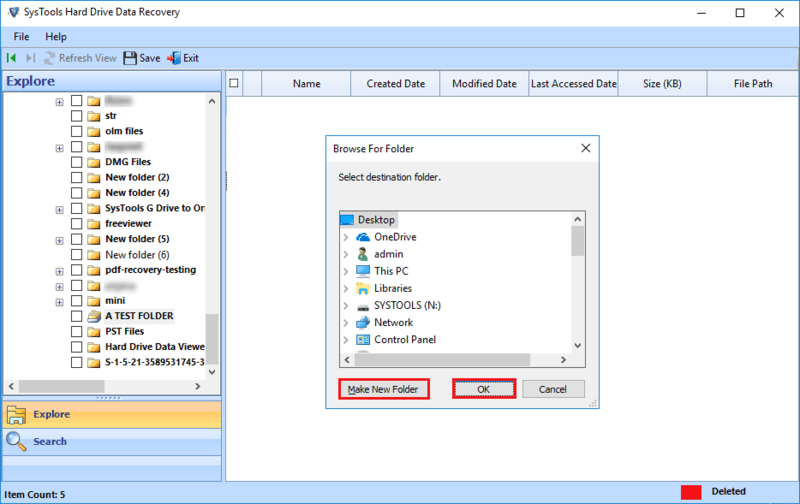 Step 6: Choose the location to save recovered data from hard drive in the local system. Step 7: After completion of saving, it displays a completion message on the screen. Click Ok. Step 8: View the final file at selected destination in the local drive. 500 GB of hard disk with 350 GB of data shows empty partitions. What to do? 1. Use a different USB cable for connecting the disk on computer. An incompatible cable causes data to become unreadable. 2. A caddy needs to be fully compatible with your disk type. If you are using one, try changing it. 3. 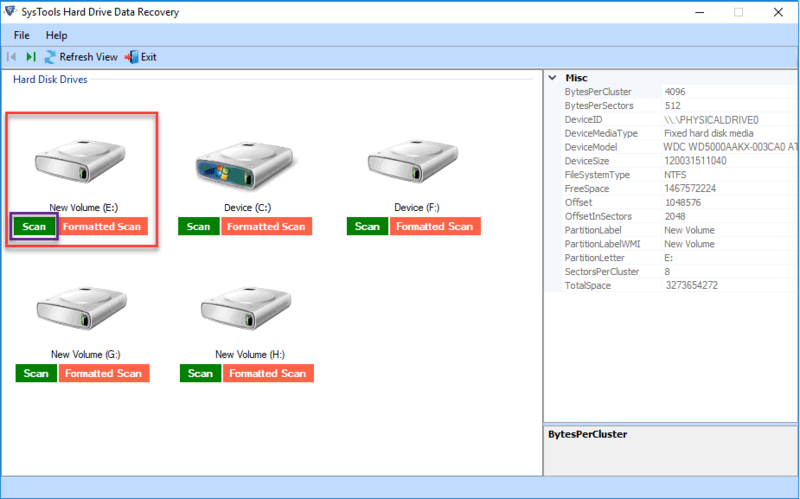 If despite resolving all connectivity issues you are unable to read the drive data, use Hard Drive Data Recovery software to repair & recover lost data from the partitions. I have around 5 TB of data in a corrupted external disk. Is it recoverable? 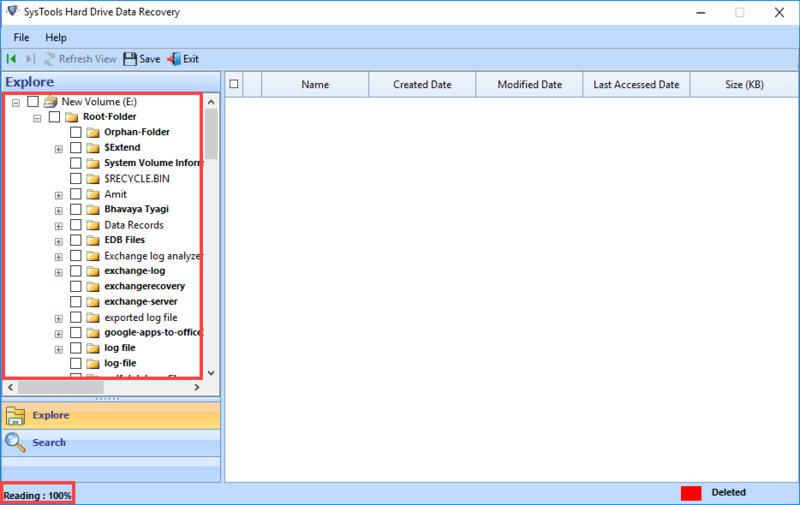 Yes, you can recover any amount of data from corrupted disk (external or internal) using HDD recovery software. However, it is recommended to not format your disk, in fact not use it anymore as it will further deteriorate the memory and decrease the scope of recovery. Process the disk in its present state with the repair utility for hard disk data restore and you will definitely be able to get back all your data in its previous state. My Computer Hard Drive F should store 500GB data, but now the "hard drive shows 0 bytes". What is the Exact problem? This type of the problem mostly occur by the harmful malicious applications. Many people suffered from “hard drive shows 0 bytes” issues and user have no idea how to save crucial data from hard drive. So I specially Suggest you use Systools Hard Drive Data Recovery Tool to recover your valuable files. I found the product really helpful because getting a service would be a one-time solution. Meanwhile, this one time investment has given me the option to avail recovery with Hard Drive Data Recovery tool for a lifetime, which is a way better investment. Thank you Team SysTools, great job! I recently purchased Hard Disk Data Restore tool after hours of searching the web for how to recover data from external hard disk. You people are doing a great job by providing such products, which are not just useful at organizational levels but also on home front. Thanks a lot team!